The decline in the price of electricity in price area Estonia in March can be attributed to unexpectedly warm weather and improved hydro stocks, the Estonian state-owned power generating and power distribution group Eesti Energia said. Lithuania's Ministry of Energy, US company NET Power and energy innovation company 8 Rivers Capital signed in the middle of March a memorandum of understanding on a feasibility study for a zero-emissions power generation project, informed LETA/BNS according to the vz.lt. According to the audited report, in 2018, Elering earned a net profit in the amount of 18.6 mln euros with revenue amounting to 144.8 mln euros compared to the net profit of 17.1 mln euros earned in 2017,Elering`s representative Ain Koster informed BC. In order to avoid three important risks, the government might not support liquidating the mandatory purchase component (MPC) on electricity by the end of March, said Prime Minister Krisjanis Karins (New Unity) in an interview with the Latvian public television citing LETA. Electricity market prices fell across the Baltic region last week, to 41.88 euros per megawatt-hour (MWh) in both Lithuania and Latvia, down by 1% and 2%, respectively, and to 42.01 euros in Estonia, down by 1%, Elektrum Lietuva said LETA/BNS. 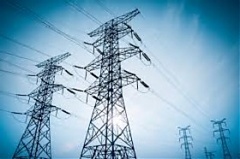 Electricity prices went down in all three Baltic states last week, with Lithuania registering a slightly faster price drop compared to Estonia and Latvia, independent power provider Elektrum Lietuva said.